A cozy night spent reading by the fireplace, making smores around the campfire, a backyard barbeque with friends and family – fire, when controlled, can play a role in building happy memories. Uncontrolled, however, fire can be the source of terrible trauma. House fires can destroy physical possessions and cause serious injury or even death. When fire strikes homes in Northern California, The Brod Firm can help victims and serve as an Oakland fire injury law firm. The Oakland Tribune reported on a terrible blaze that damaged three homes in West Oakland on Tuesday morning. Fire officials believe the fire started at 3:29 A.M. in a laundry room located in the rear of a Victorian-style, two-story house on the 900 block of 24th Street, near the Market Street intersection. According to Battalion Fire Chief Emon Usher, an electrical problem sparked the blaze. Firefighters arrived just four minutes later and found the home consumed by what quickly became a three alarm blaze. The fire spread to a duplex to the left of the first home and the house on the other side of the original blaze incurred some exposure damage. Usher estimated the total damages at between $500,000 and $800,000 and said that the fire rendered the first home is uninhabitable, leaving five people homeless. The residents of the houses to the side, seven people total, will eventually be able to return home but are currently in a temporary Red Cross shelter. Thankfully, no one was injured in the West Oakland fire. Suppose, however, that a home fire caused injury to the occupants of the homes or other people? Medical treatment would be the number one priority, but legal concerns would quickly follow. The injured would face emergency medical bills, lost income, and, in some instances, future medical costs. For those who do not live in the dwelling, the owner’s homeowners’ insurance is usually going to be the main source of coverage. In a consumer guide, The California Department of Insurance notes that such policies typically have two key components: Property and Liability coverage. One element of the latter is “Medical Payments to Others,” which includes compensating non-resident fire injury victims. Of course, insurance companies are notorious for resisting payment. Both the homeowner and the injured victim should engage legal counsel with specific experience in insurance coverage disputes. The fire injury victim will want to recover all the damages he or she is due and the homeowners will want to ensure that the policy provides complete coverage and that no additional liability falls on their (already burdened) shoulder. Homeowner’s insurance will not pay for injuries incurred by the homeowners or other living in the dwelling. A thorough investigation undertaken by experienced fire injury counsel is key to determining potential sources of compensation. This will include witness interviews, official reports, and expert consultations. Examples of potential claims include: A products liability suit against the maker/seller of a defective product that sparked the blaze; A suit against the home builders or subcontractors for faulty wiring; A claim against the utility company if oil or gas played a role in the fire; Claims against the makers of flammable items that allowed the blaze to build and/or accelerate. Home fires can destroy a lifetime’s worth of possessions and irreplaceable keepsakes. They can also cause terrible injuries. Burns can cause lifelong pain and disfiguring scars. 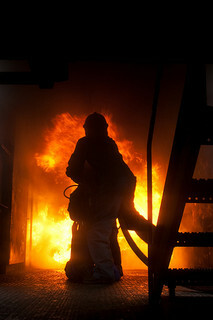 Smoke inhalation can cause lung damage and even death. Let our skilled personal injury and insurance coverage lawyer for Oakland and other Northern California communities handle the fight for compensation. You should be able to concentrate on healing, both physically and emotionally.